The diet secret – it is easy to lose weight! I am an actual cavewoman! Well only sometimes you will find me standing over the hob, tearing and eating a whole chicken. This is only when I’ve been deprived of food for too long. To lose 20% of my body fat I switched to eating like our ancestors – known as the Paleo Diet. No calorie counting, just clean eating. It is what we ate pre-agriculture so is naturally low in carbs and high in protein. This makes losing fat easy – you quickly stop having cravings and feel great! not eating enough – yes pop some mince and avocado in your breakfast omelette! 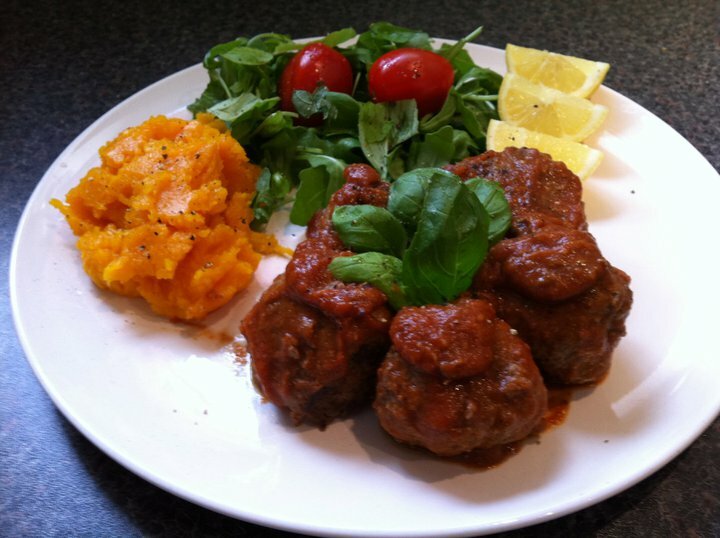 listening to old school thinkers who insist you need to eat whole grains etc for a healthy diet – meatballs to them! This is your life and its worth finding what works for you. On the 1st March 2011 I was a UK size 22. On the 1st March 2012 I am a UK size 8/10. How I did this is important, but the why is the real pot of gold. I yo-yo dieted for years. Probably 7 significant times. I tried every diet, and sporadically did group exercise classes like body attack/pump. I never kept the weight off more than 6 months at a time. Well because really I just changed what I was doing, never why. There always needs to be a why. And that why needs to be more of a motivator than why not. To explain – I was massive, couldn’t climb the stairs without sweating profusely, getting out of breath and being very self conscious. I was very stressed at work and just hid and ate when outside of it. I couldn’t function but there was no reason bigger than my inner pain to change. No why bigger than why not. I had carved out a “life” which could have continued indefinitely. Continued with me being grossly overweight, unhappy and rapidly losing grip on what matters in life. The more out of control your life is, the easier it is to do something drastic and create a really good, big fat why for yourself. Right now I am honing my life and finding the why is taking a bit longer and is a bit less dramatic. But anyway honing and toning – that will be covered in future posts. My big why was exclaimed to the world around me, got me some attention (love it), and got me into a situation that I had to rapidly apply action to. So they say take one step towards your goal. If you are quite dramatic, don’t like to lose face, and are desperately unhappy about your life, then my why method could work for you. So “rah rah rah – yes I’m putting in 3 1/2 months notice at work, yes work colleagues I am going travelling the world (imagine sweeping gestures), yes all the people this is what I am going to do!” Oh shiiiiittttttt. Ok, breath, DON’T PANIC. How can I actually do this. Right I can’t go anywhere like this, I couldn’t even go to the pub to meet friends without hitting it hard – to find enough confidence to talk to people (and not sweat). Didn’t have many friends left at this point anyway, thankfully – they would have maybe talked some sense into me. So the big why was set. I needed to lose weight and fast – 3 months to go. 31st May 2011 – the last day I’d ever work in Oxfordshire. And then I’m off. Actually, I didn’t really care about going travelling. I just needed a deadline and a big enough why. If I was wandering around Thailand I sure as hell couldn’t be as deconditioned as I was. Yeah I wasn’t just obese. I was severely unfit. All the yo-yos had reduced my lean muscle mass, increased my body fat – and it just got worse each time I did it to myself. The last time was the worst, I would be eating a Dominos take away twice a week. And the amount I was ordering lasted me 2 days – enough to feed about 5 or so people. Really just so I wouldn’t have to interact with my housemates in the kitchen. So being outside, never mind going travelling, meant I was outside my comfort zone. Big why > big change. So the why was set. It wasn’t specifically to force me to lose weight. Weight is always just an indication of how I feel. But I needed to lose a lot of fat and get fit in order to regain some confidence. Confidence was so essential to be able to cope with what was in my near future. The how was getting a personal trainer and doing resistance work 4 times a week and drastically changing my eating habits – following the Paleo diet. And the how took my life on a whole other tangent. I never did go travelling (yet). When I left work on the 31st May, I was a size 16. But I didn’t leave Oxfordshire. I carried on training and eating clean. I finally left in October – a size 12/14. And I came home – to Glasgow. Carried on training hard, qualified as a personal trainer and am sharing my experience and knowledge with people in my home town. I am now a size 10 – still working on the belly. But getting there and will get there. After all, I’m a personal trainer now. Its not random – its the biggest why I could find to make sure I get to my target fitness and my ideal lean physique. And to keep it for life. Now of course I’m not saying this is the route for everyone. But you need to always find your why and make it bigger than your why not. Hi, I’m Alicia and through my own dramatic weight loss journey, I’ve experimented and thought about every aspect of weight loss. 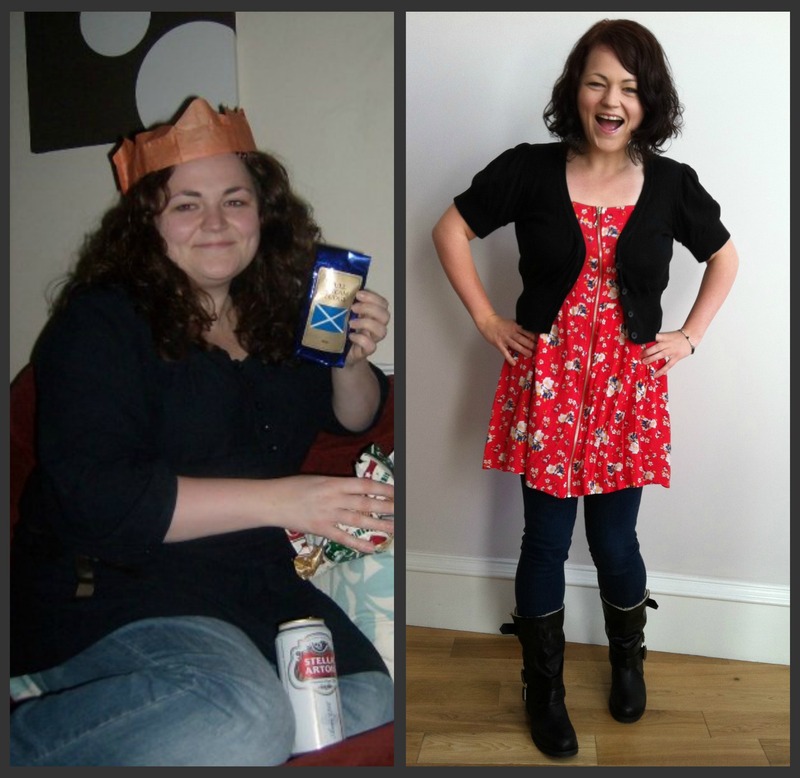 This blog is to share my learnings and help others find the route to their own after picture. 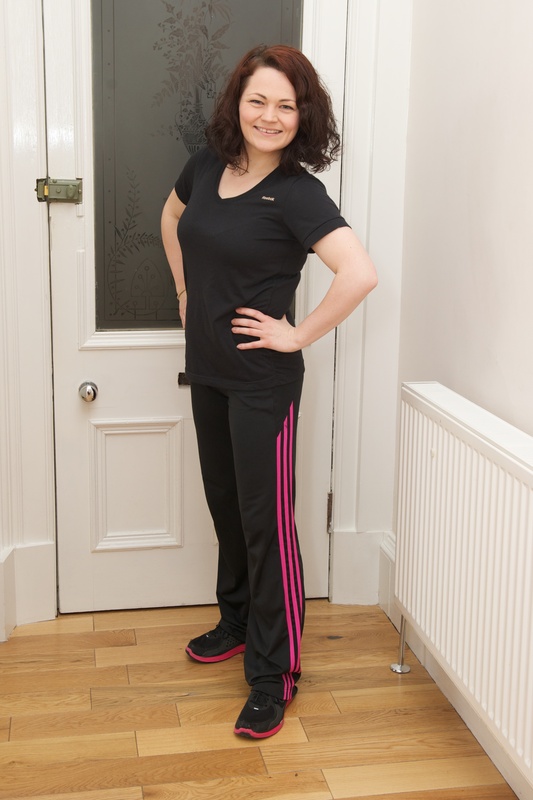 I am a mobile Glasgow personal trainer and weight loss consultant based in Glasgow, UK. 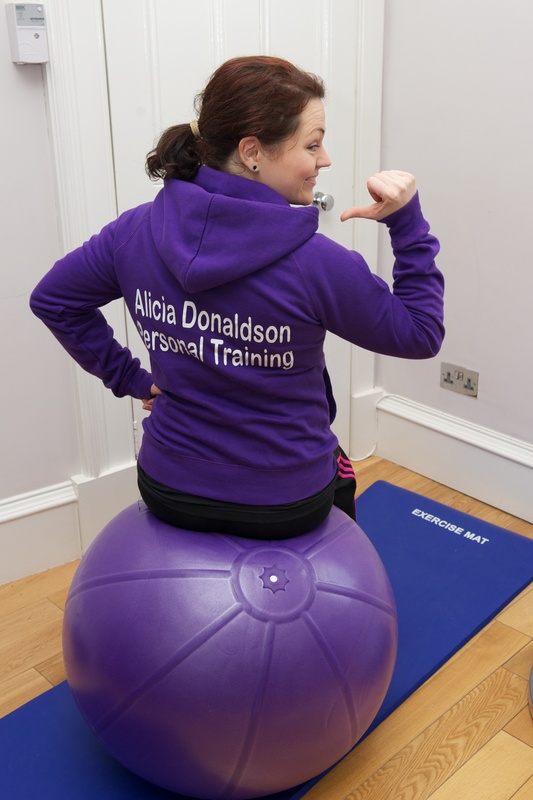 If you’d like to book a personal trainer in Glasgow, then get in touch!